Here’s our quick predictions of some other up-and-coming business trends that could mushroom this year. 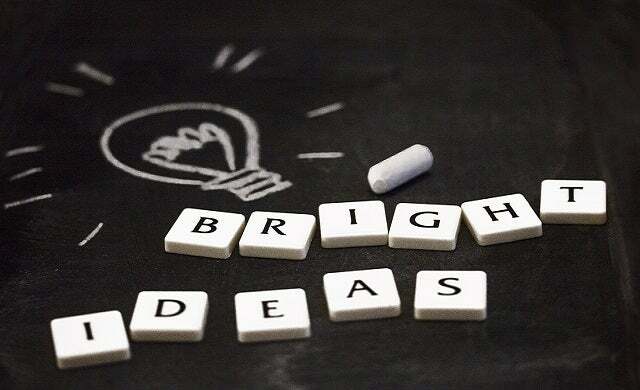 If you want to go from employee to entrepreneur, take a read of the below or click here to read our 17 big business ideas. Us Brits are shaking off our traditional tags of lager louts and becoming more discerning drinkers. While ‘dry January’ has been popular for years now, recent research suggests many people are extending this custom all year round – with the low and non-alcohol beer industry growing 19.5% in the UK over the past year. A cultural shift in people’s attitudes to teetotalism, particularly among millennials, and no doubt influenced by the growing number of health-conscious and gym-going consumers, means even the giants of the drinks trade are starting to take notice. Last July, Diageo invested in seedlip, producer of the “world’s first distilled non-alcohol spirit”, signalling its first ever venture into the alcohol-free market. Elsewhere, Britvic launched an incubator with the task of discovering premium soft drinks for adults – both signs it’s not just larger that’s going sober. Scottish brewer Innis & Gunn recently released a 0% pale ale, alcohol-free wine brand Eisberg added a sparkling white and rosé to its range, and Dry Drinker allows users order mixed cases of pioneer-friendly beer. With 31% of UK consumers having tried alcohol-free beer, and 19%admitting they can’t tell the difference between that and the real thing, opportunities are aplenty for those looking to brew or distill their own. With the rise of technology and the impact of 24/7 living, us Brits are getting less and less sleep. And this sleep shortage is having an adverse impact on our health. YouGov and the British Sleep Council report that getting less than six hours of sleep a night increases your risk of an early death by up to 12%, alongside a reduced ability to handle stress, increased risk of obesity, stroke, diabetes and memory loss. You’re also four times more likely to come down with a cold and put yourself at an increased risk of getting Alzheimer’s, so isn’t it about time we came up with some advanced solutions to help improve our sleep? While sleep medication and medicines have been long established in the market, demand is rising for alternative sleep aids – ranging from apps to training to acupuncture – so now is an ideal time to consider starting a sleep-focused start-up. From freelance opportunities to launching a tech start-up, there are many avenues you can explore in this space. For instance, you could become a sleep meditation instructor (it’s thought that meditation helps improve sleep habits), start a product business in herbs and supplements that have natural qualities to aid sleep, or even launch an app that promotes better sleep patterns. For instance Calm, the meditation app co-founded by Moshi Monsters creator Michael Acton-Smith, recently launched a range of ‘bedtime stories for grown-ups’ – Sleep Stories – that aim to induce sleep by using a combination of “soothing words, music and sound-effects”. According to catering organisation TUCO, “brunch is becoming a staple for many in the UK” particularly when it comes to bottomless brunches (serving unlimited alcohol). Similarly, the report suggested that there is a growing trend of all-day dining with 16% of millennials admitting to eating breakfast as an ‘afternoon snack’ and 63% expressing an interest in trying ‘monster’ or ‘mini’ breakfast sandwiches. Originally a US trend, brunches and bottomless brunches are taking off in the UK (so much so that The Priory issued a risk warning of alcoholism last year) with restaurants, pop-ups, and cafes popping up across the country with a focus on brunches or, as in the case of London’s Duck & Waffle, ‘brinner’. In 2017, industry insiders predict UK consumers will demand ‘bigger, better brunches’ which presents an opportunity for budding food entrepreneurs. While London’s brunch market is becoming highly competitive, you could find success by drawing inspiration from some of the top brunch outlets in the capital to launch a brunch business in another city. Companies already achieving success in the sector include Jones and Sons, The Breakfast Club, the Jackson & Rye chain, as well as STK and Bunga Bunga; offering more luxurious and high-tempo brunch parties. While we’re all familiar with direct sales home parties of products like tupperware and lingerie, the direct selling industry is evolving and diversifying; there has been a 28% increase in male direct sellers over the last year and a surge in young entrepreneurs taking up opportunities in the sector. A report by direct selling organisation Global Direct Selling found that network marketing schemes rose by 10% in the UK in 2015 with estimates that the industry will deliver more than £3bn revenue to the UK this year. This growth forecast offers good prospects for those looking to become their own boss this year. From the recent growth of direct selling brands such as Forever Living, herbalife, and Juice Plus, to more established players like Avon and The Body Shop, there are a number of direct selling opportunities on offer currently across beauty, food and drink, cleaning, health, home accessories and more. Street food has exploded in the UK and, while we’ve seen pizza, goat and Peruvian food all become fast-favourites among street food lovers, 2017 is expected to be the year of Sri Lankan street food and, of course, Japanese food. Already we’ve seen the take-off of London street food start-up Kothu Kothu – the brainchild of Wonderush/Hownow founder Nelson Sivalingum – which, as the business name suggests, specialises in kothu. This dish; finely chopped roti flatbread cooked on a hot skillet with vegetables, spices, eggs and meats of your choice, is one of Sri Lanka’s most popular cuisines and Brits are now beginning to get a taste for it. While Sivalingum’s Kothu Kothu Camden stall launched back in 2014, the business has gained momentum in the last 12 months; opening up an additional stall at Croydon and garnering press attention with appearances on Radio 1 and in national publications. 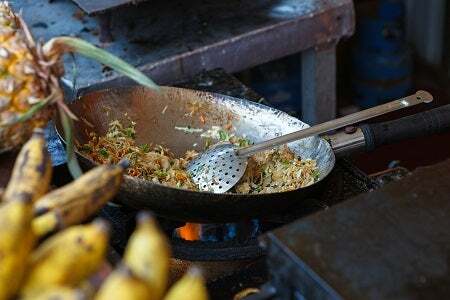 While Kothu Kothu is making in-roads, there are a number of other opportunities for Sri Lankan street eats. You could launch a gourmet seafood stand specialising in Kool seafood (a broth of crab, fish, prawns and cuttlefish), hoppers – the aptly-named Hoppers has been achieving a lot of success – or you could even create a curry stand dedicated to Sri Lankan curries. Naomigrays25, in reply to your request below, I too am seriously trying to start up an accounting business. What sort of busy are you interested in? I am currently looking for people seriously keen to be their own boss and build a business. Please feel free to contact me if you are motivated and keen for a better life through hard work and consistency as well as amazing self development!